Looking for an exclusive retreat that’s a true slice of heaven? Book your trip to Eden Roc, a five-star boutique resort nestled in the private enclave of Cap Cana, Dominican Republic. Simply put, Eden Roc is paradise—and for good reason. Designated a Relais Chateaux property, it’s not only ultra-luxurious; it’s boutique, family-run, backed by the highest dining standards and filled with charm. When we went, we stayed in an adorable cottage with a private pool, an outdoor shower and a gorgeous, spacious bathroom. 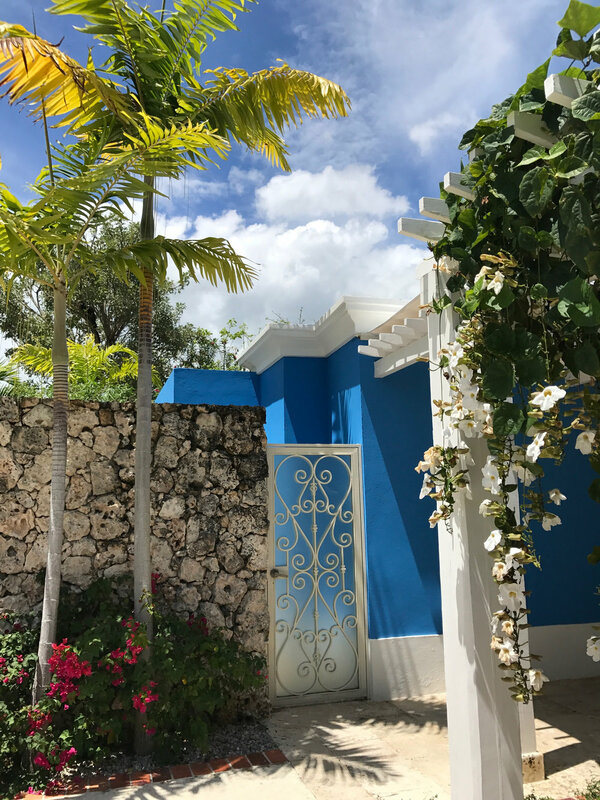 While we spent much of our time lounging at the beach to soak up those fierce, Dominican rays, we also took time to explore the property’s incredible amenities. Drive around Cap Cana, and you’ll find Arnold Palmer-designed golf courses, an exclusive beach club (complete with beach butlers!) and tantalizing bars and restaurants. My favorite restaurant on property was an Italian inspired seafood joint, La Palapa, where my grilled shrimp and lobster came paired with the DR’s turquoise waters crashing under my feet. Another option, Blue Grill, is where Japanese meets Peruvian cuisine. Medeterraneo, a fine dining restaurant on property, has caught the eye of many a Michelin-star chef. This makes sense when you 1) learn that it’s helmed by Executive Chef Gianluca Re Faschini and 2) try its deconstructed ravioli with shrimp and Parmesan foam. Both make for quite the treat. At Eden Roc, anything you want is the hotel’s command. On our third day, we ventured out to Isla Saona, a small island about 25 minutes away from Cap Cana. The concierge organized a helicopter to pick us up—the views from above were absolutely breathtaking. Right as we landed, the sweetest local, Adan, showed us to our private dining table on the beach, where we ate the freshest grilled lobster, rice, beans and made-from-scratch piña coladas I’ve ever had in my life. We left with full bellies, happy hearts and bronzed (almost burnt) skin. When we wanted a break from the sand and sun at Eden Roc, we went to Los Establos, the horse stables just outside the resort. These state-of-the-art stable grounds are some of the nicest I have ever experienced (which says a lot from a girl who used to ride horses competitively). When I learned we could ride, I was so excited to get back on a horse after almost 8 years. For 45 minutes, we explored Los Establos’ multiple barns, 300+ horses and onsite riding school. After a beautiful day riding my six-handed horse, Rocky, my passion was reignited: I think I may have to get back on the saddle regularly. The perfect place for R & R, Eden Roc is where you can come disconnect with friends, family or that special someone, and return home rested, revitalized and about three shades darker. For a romantic twist to your escape, after a “long” day of all things luxury, come back to your room to find a romantic bubble bath with rose petals and champagne drawn for two. As with pretty much anything at this gem of a resort, the concierge can make it happen—you need only ask.